The Sky Bet League One side host the Premier League Clarets in the second round of the competition on Wednesday evening. The fixture holds great importance to supporters of both clubs, but boss Mowbray believes Rovers' league campaign is more important. "Ultimately we are going to get judged on our league position," he told the club's official website. "Win, lose or draw, this game on Wednesday night will be forgotten in a couple of weeks' time. "It will be in the history books." 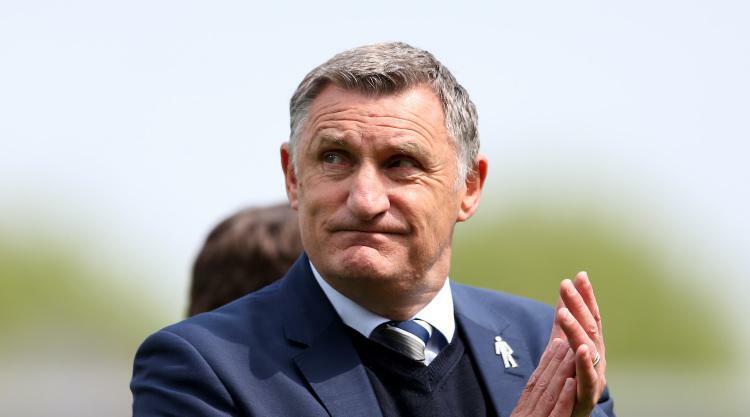 Blackburn, relegated from the second-tier last season, have begun the new campaign in stuttering fashion, losing two of their opening three league matches. Mowbray has selection problems - with Darragh Lenihan, Bradley Dack, Ryan Nyambe and Scott Wharton all injured - and does not envisage making many changes. "There aren't too many things to change, but our fans should know that we are going to be committed," he added. "We are going to try and win the game, whilst being conscious that we can't be too open against a Premier League side that can pick holes in you if you aren't organised and set up properly. "When I look at Burnley's squad as well I'm not sure they've got huge changes to make in their team." In Wednesday's televised game, League Two Cheltenham will look to add to West Ham's woes. The Hammers have lost back-to-back top-flight games and face a potentially tricky visit to Whaddon Road. Robins boss Gary Johnson wants his club to enjoy the occasion. "I hope the supporters are excited and the players should be because they can show what they can do against Premier League opposition," he told Cheltenham's official website. "The players earned the West Ham game by putting in such a good performance against Oxford (in the first round). "We are up against Premier League opposition so there has got to be a real work rate. If you let teams like West Ham run all over you and around you then you are in for a long night. We need some real team energy." Another out-of-form Premier League club who will be looking to avoid an upset is Newcastle. Rafael Benitez's Magpies host Championship outfit Nottingham Forest at St James' Park. Forest manager Mark Warburton is targeting a run in the competition but expects a stern test. "It is another competition and you want to go as far as you can," he told Forest's official website. "We have a long association with the trophy as a club and we will go there with a strong squad and look to win the game. "We know it is a very tough test; it is a top-class venue, a team with magnificent pedigree in the Premier League managed by a top-class manager in Rafa Benitez. "We know what we face but we are in good form." In Wednesday's other games, Championship Wolves travel to Southampton, League One Rotherham make the short trip to Huddersfield, and Rochdale go to Stoke.